Exposing your delicate lips to these chilly winds and unpredictable Spring weather is such a risk. 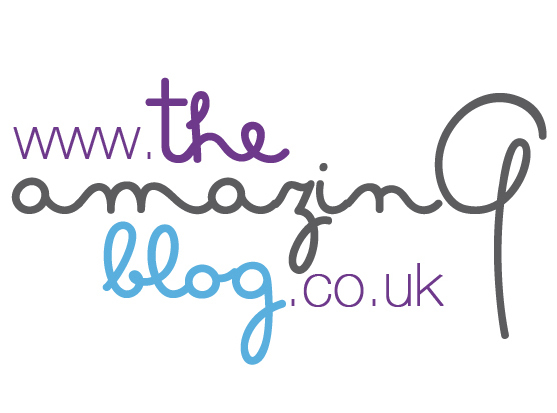 Fortunately, here at The Amazing Blog, we’ve got you covered. We have discovered four new products that will surely be your pocket’s new best friends. We all know how the brutal north winds are tough on the lips and leaving you susceptible to nasty, painful cold sores. With SoreFix, you will definitely wave goodbye to the cold sores and welcome back your beautiful smile! Their acyclovir-free, zinc-based treatment blocks off the cold sores from appearing with a subtle physical filter, without any known side effects. It both treats and prevents cold sores by reducing and healing the infection. It also moisturises those chapped and dry lips with extra high UV filter, SPF 30, and vitamin E. The Lip Balm comes in two different shapes. It is available in both a convenient squeezable tube and a 10ml jar making them both lasting and cost-effective. You can purchase both products from SoreFix here for £8.99 as a special offer (at the time of publishing) . The second product we discovered is from Balmkind. Winner of an Award in The 2018 Beauty Shortlist Awards in Best Lip Balm category. The Alpine Rose & Lysine Lip Balm nourishes, protects and soothes lips with its carefully blended natural ingredients. It contains a comprehensive list of antioxidants and is rich in Alpine Rose, Lysine (which is an essential amino acid), oat lipids with skin active ceramides, licorice root, lipid-rich pomegranate sterols, and vitamin E. We particularly like the non-tacky lightness of this balm, it's definitely a lip balm for those whose partners are adverse to a sticky lip kiss! This soft rose-scented lip balm can be used daily and leaves you with natural shiny looking lips - just gorgeous. The Alpine Rose & Lysine Lip Balm you can purchase here for £12.00. If you’re into a more natural tinted lip products then Living Nature has got you covered. The Tinted Lip Hydrator has everything you could wish for in one single tube. Hailing from New Zealand, this Lip Hydrator contains castor oil, vitamin E, manuka honey, jojoba esters, candelila. With the addition of calendula oil and carnauba waxes (both certified organic). This product is also free of synthetic chemicals or preservatives. The 'Lush' colour that we tried gave a subtle coral tone and a 'luxurious sheen' to the lips. The Tinted Lip Hydrator is available to purchase here for £15.00. Last but not least, if you love rocking red, but you’re worried about chapped lips, Benecos is right for you. Their Benecos Natural Lipgloss in Kiss Me is a combination of lip plumping and moisturising. Not only does it care for your sensitive lips, it moisturises, adds colour and gloss, and protects the lips while maintaining a sophisticated look. All of these benefits come from certified organic and natural ingredients which are castor seed oil, beeswax, sunflower seed oil, calcium aluminium and borosilicate alongside a natural fragrance. Finally, if you wish to buy Benecos in the UK you need to go here and it will be £6.95. With our selection here, you now have no excuse not to have soft, lush and kissable lips!